"Air Flow Mountains", one of the fancy Alpine crowds holding a dam lake. Also, we hold a kite making workshop, and I will put your thoughts in the sky of May as the Alps rise. Alps Art Festival 2017 with a fantasy mountain rising in the Alps holding a dam lake as its motif. 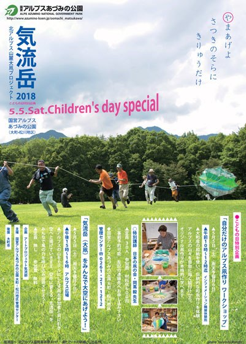 Also held on May 5, also a child's day, held a traditional Japanese kite making workshop. a splendid air that does not exist elsewhere. 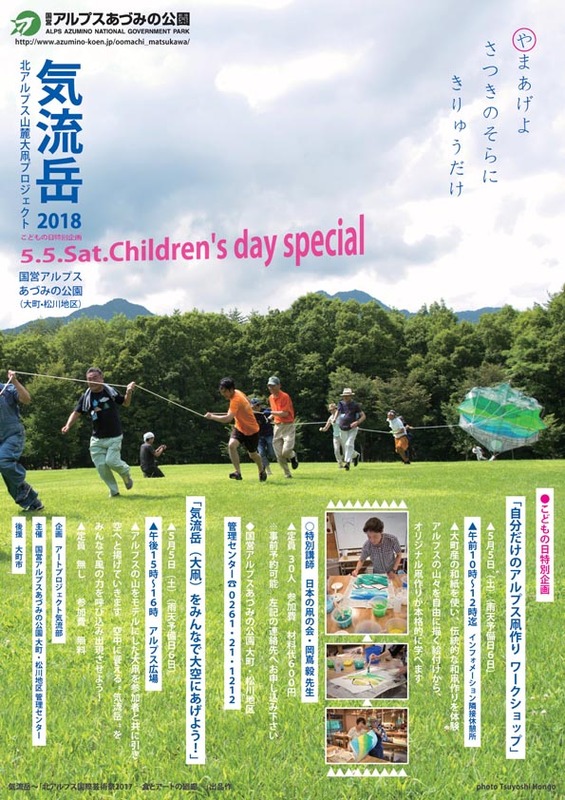 "Your own" Alps kite "making workshop"
Using Japanese paper made by Omachi, experience traditional Japanese kite making. From painting that freely draws the mountains of the Alps, you can learn how to make original kites in full swing. 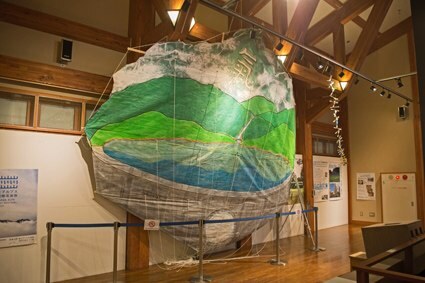 "Let's fly Air Mountain (big kite) to the sky!" and go to the sky. Let 's invite the power of the wind to emerge the "Air-Mountain" that rises in the air! !